You know, greek food is amazing! 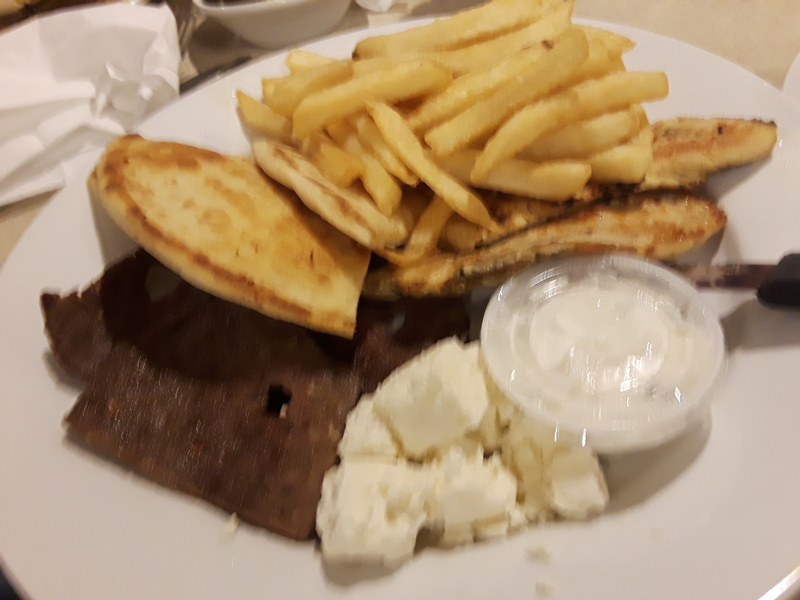 If you want a good greek meal, a tremendous amounts of diners all of the United States provide you with that great grek food. This one is a gyro platter. This consists of Tzatziki sauce, gryo meat, chicken and french fries. Gyro meals are always served with potatoes so it is very common for gyro meals to be served with french fries and no it’s not just an American thing. I had this meal at the 202 Diner in the town of Yorktown Heights, New York. This diner is located about five minutes west of the Taconic State Parkway which is the only major highway in this part of northern Westchester County. I Recommend coming to this very good diner and having the gyro platter here at the 202 Diner in Yorktown Heights. Ho ho!